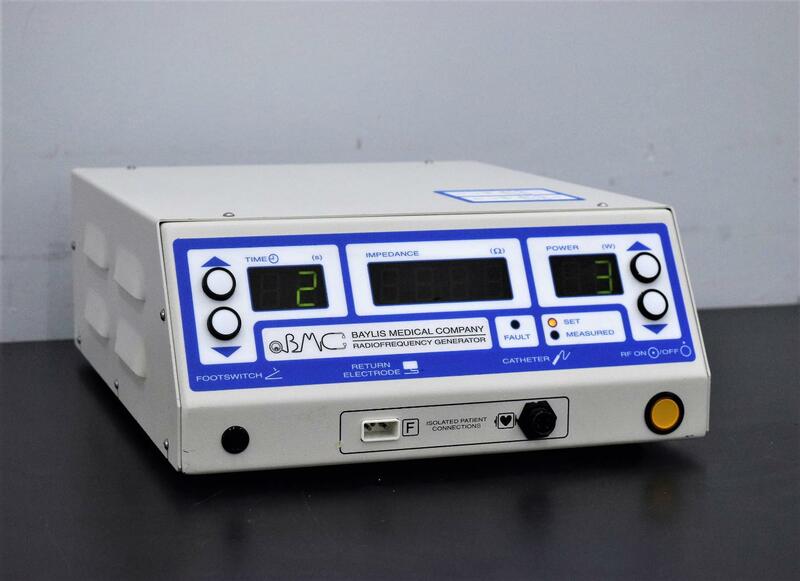 Baylis Medical Company RFP-100-115 Radio Frequency Tissue Puncture Generator . New Life Scientific, Inc.
with RF is similar to that of a mechanical needle. This system is guaranteed to be fully-functional. button gave no reading as there wasn’t an electrode or catheter plugged in.